IQHAYIYA is the Xhosa name which means pride and was formed in 2005 by a group of crafters and artists around Khayelitsha. 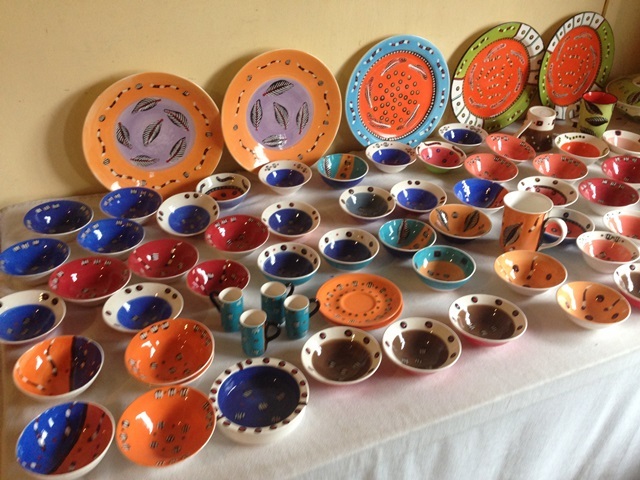 Iqhayiya Arts & Craft is based in Harare in a temporary shelter. The founders of Iqhayiya Arts and Crafts established the project because of a need within their community for projects such arts and crafts. 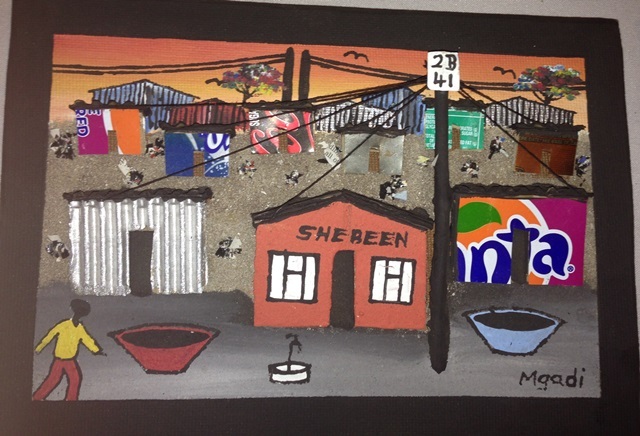 Lambatha Zanazo does handwork art from wire and other recycling material. He started his business in 2000 as a way to make ends meet and was unemployed. He started to teach his neighbours the same skills in order to survive poverty. His is a founding member of the project and a chairman of Iqhayiya arts and craft. He oversees the daily operations of Iqhayiya Arts and Crafts and supervises the growth of the project. His vision is for Iqhayiya Arts and Crafts to be recognised throughout Western Cape. Sithembele Mgadi arrived in Cape Town in 1987 from a little village Dumalisile near small town called Willowville in Eastern Cape. Because he also struggled to get stable and permanent employment, his living conditions were not getting better. One day he decided to create a picture to send to his parents out of bits and pieces of scrap. He went to the post office to package the parcel to be sent to the Eastern Cape. When he took it to the postmaster, he offered to purchase the artwork from him and that is how 3D shack picture was born. Nosisa Magutywa was born in Tsolo Eastern Cape. 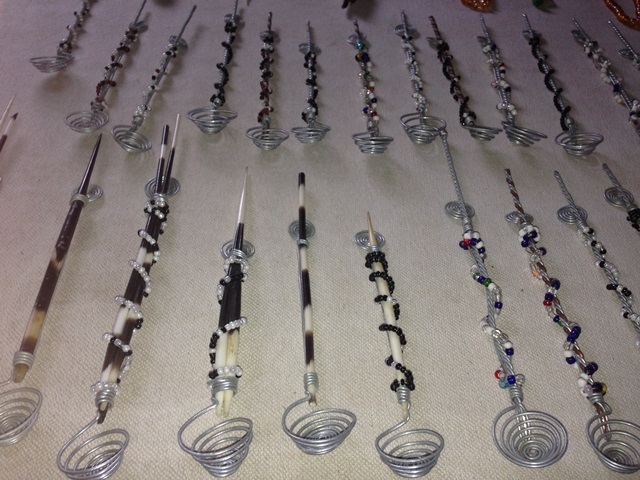 She started her bead work company in 1994. When her business grew she was joined by three other women. Nosisa sells her bead work from Iqhayiya arts and craft workshop, Kirstenbosch craft market and Grahamstown art festival. She got her training at Maradade, CCDI, and Triple Trust. Nosisa is a secretary of Iqhayiya arts and craft. Sandile Mabece is a professional Graphic Designer and specialises in creative design, printing of T-shirts and other promotional items. He is one of the founders and the Marketing and communication coordinator of Iqhayiya Arts and Crafts. Nompumelelo Mrali was born in Lady Frere in Eastern Cape. She studied beadwork in 1984 at Maridati Project. She started her own business in 1997. Thembisa Konwayo was also born in Eastern Cape in a small village called Butterworth. She came to Cape Town hoping to find the work. After failing to get employed she decided to start a small beadwork business. 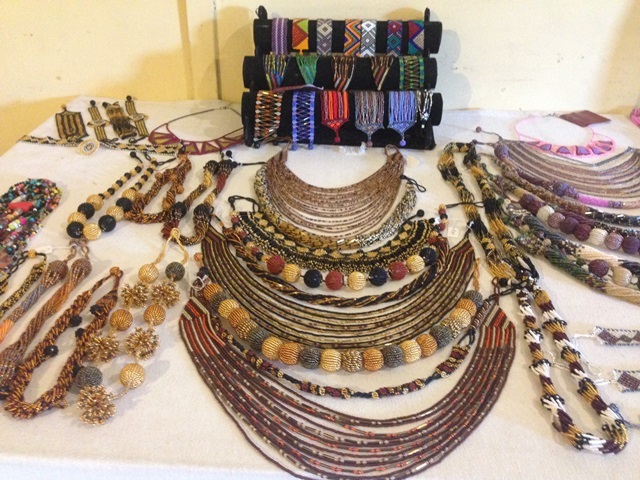 She learnt the art and skills of beadwork from her grandmother and makes necklaces, bracelets, earnings, key rings, pin badges and Christmas decorations. Lingwa Zanazo was born in Eastern Cape in a village of Gcuwa. Because she was unemployed she decided to learn beadwork. She started the business in 2002 and is now able to provide an income for her kids. 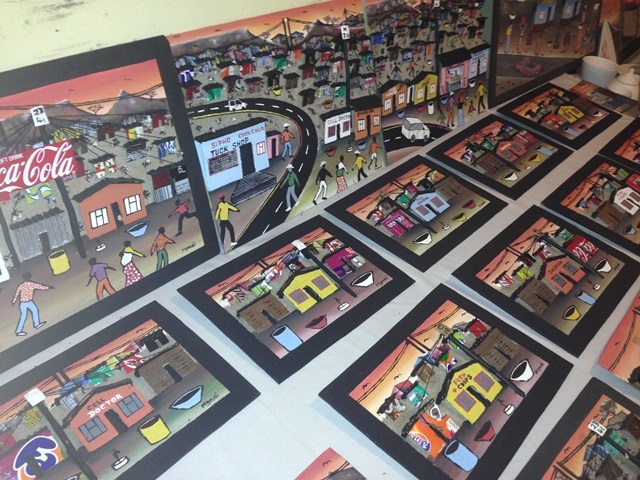 The aim of the Iqhayiya Arts and Crafts is to create more growth opportunities, especially for the Khayelitsha communities. Their aim is to alleviate poverty and unemployed rate in the surrounding communities by transferring their skills and knowledge in order could help others help themselves. 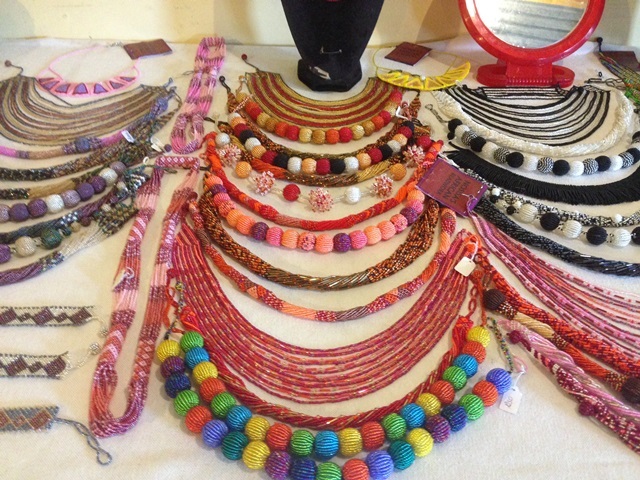 To produce unique original arts and craft for locals and tourists. To provide quality arts and craft workshops to community children and youth. To introducing a unique South African and African Flair of arts & craft and inspiring and encouraging those with a potential in arts.